Product code: 1098 Categories: Sold Items, Sold Pocket watches. 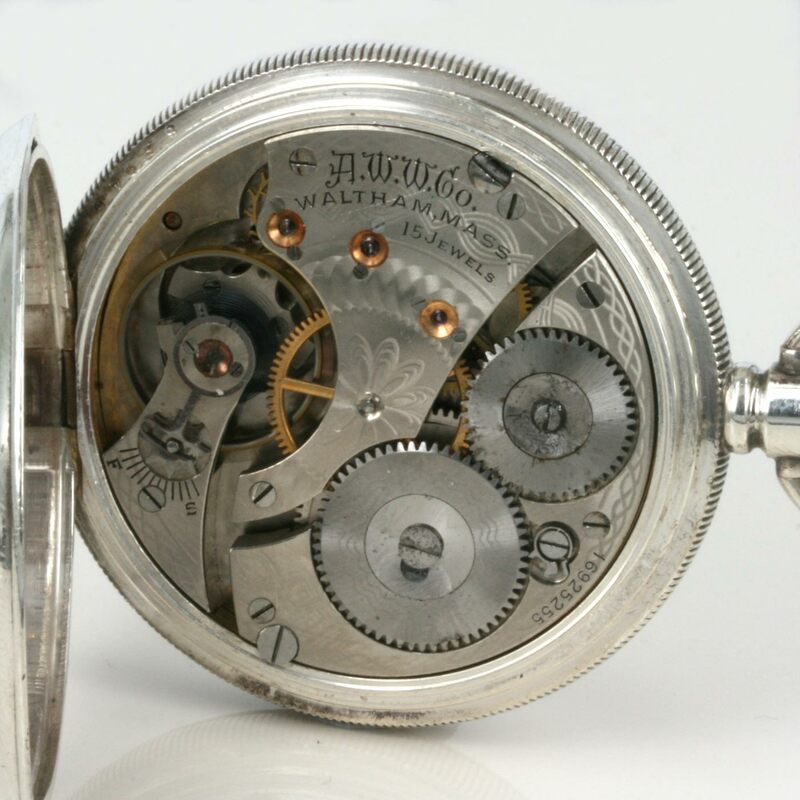 Here is a very solid sterling silver gents full hunter pocket watch that was made in 1908 and is in brilliant condition. Retailed by W Kerr in Sydney, this pocket watch is made by Waltham in 1908, and is fitted with a 15 jewelled Waltham movement that keeps perfect time, it has a Breguet over-coil hair spring and micro-regulator. The dial is all original and in great condition and displays the traditional Roman numerals and sub-seconds. The hinges are all perfect and this would be good to add to a collection or as a great gift for someone.